The west coast starfish are sick. Not a cold; something much worse. The symptoms are white lesions, emaciated frames, and within a few days, the star turns to dust. 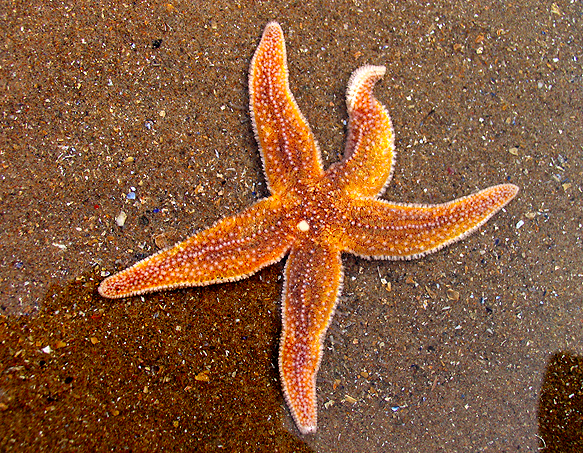 Its known as sea star wasting syndrome and its spread down from Canada and is now reaching California. 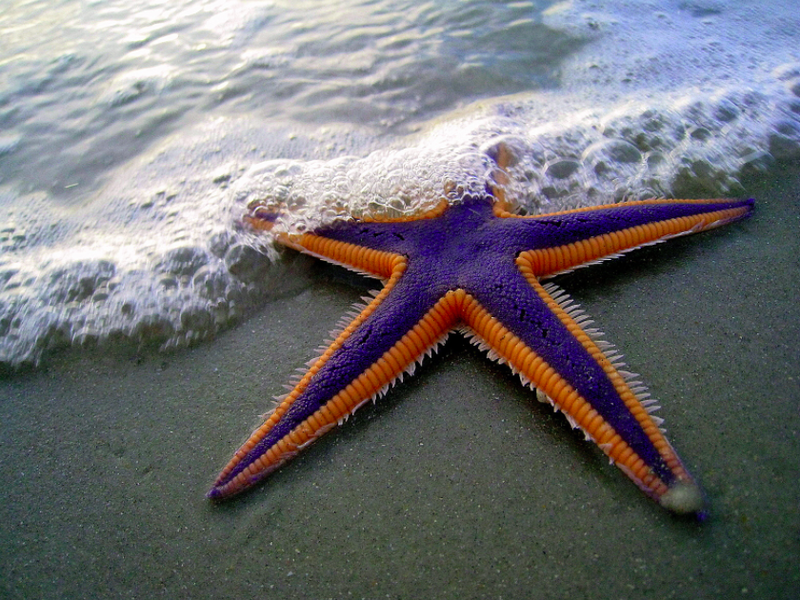 It has affected 10 different species of sea stars, and in some areas has wiped out 95% of the population. 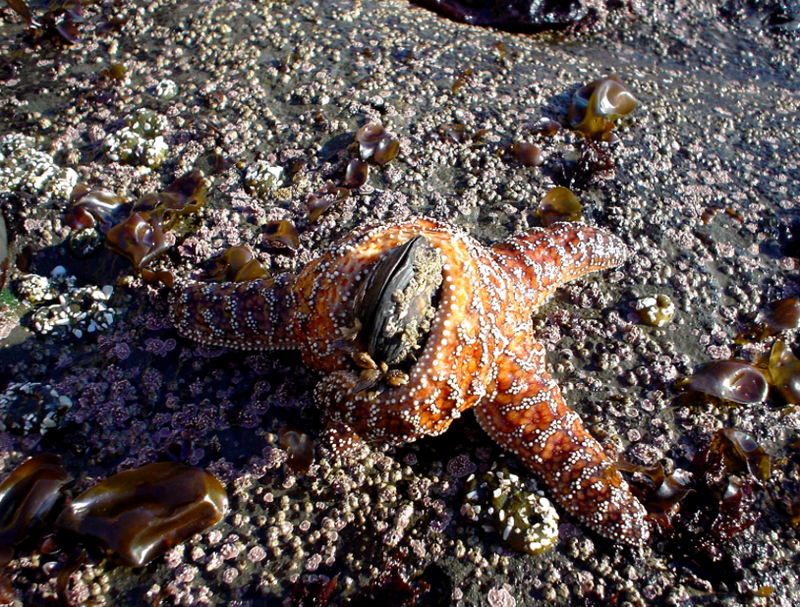 Sea Star Wasting Syndrome is not unknown in these parts of California. In the 80’s, there was a bout that scientists have attributed to El Nino, or the naturally occurring warm waters that develop off South America periodically. Now, with this resurgence, people are studying what happened previously to see if they can find some links. Like increasing jellyfish populations (previously discussed), or the loss of urchin predators, losing the sea stars would have big repercussions on the ecosystem. Every organism has its function, and sea stars are no different. Starfish are Keystone Species. In fact, they are so Keystone, they are the Species for which that term was coined. Sea stars cruise the sea floor, eating urchins, mussels, and shellfish. Their population is proportionate to their food, but remove their population unexpectedly, and mussels, urchins, and shellfish populations EXPLODE causing disruption to everything around them. Mussels especially, whose increase greatly reduces the diversity of the ecosystem. Lunch. And keeping those mussels in their place. Multitasking. How to save the sea stars? How to save the Ocean? There is no easy answer. The ocean goes through cycles, and without proper study and observation, we will never understand the swing of those cycles, and the changes they bring, and what kind of occurrence is unusual and unprecedented. Before we can come up with an answer, we must understand the disease.